Why do we try to outsmart nature? 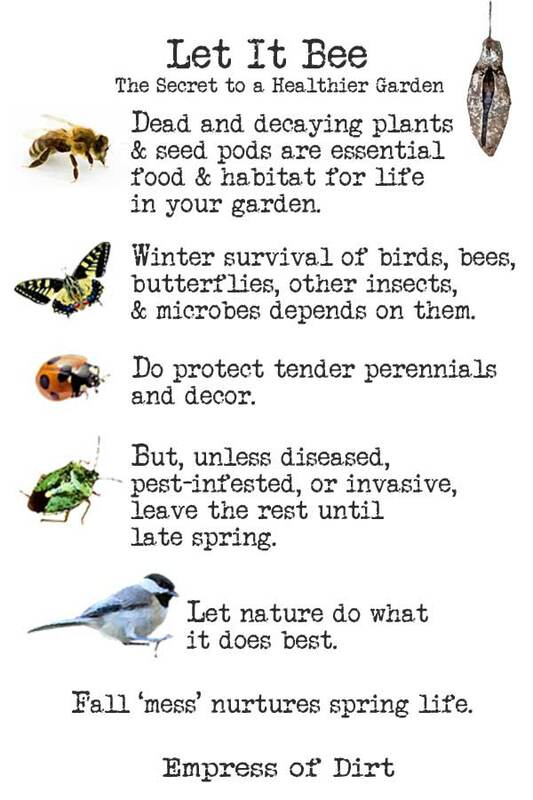 You can save yourself a lot of trial and error as a young gardener if you simply choose to let nature be your guide. In this example, we have been taught to gather up fall leaves and send the ‘mess’ away. Yet, what’s the number one most beneficial resource we can add to our gardens? Fallen leaves. Let’s look at how it works and why removing this task from your fall to-do list could be a very good investment. 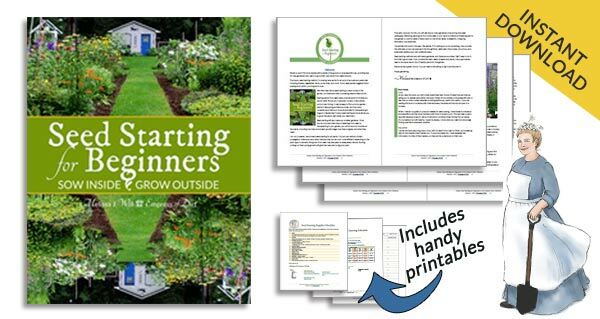 Have you got your free Fall Gardening Checklist yet? It’s a super handy checklist to ensure you don’t forget the imporant tasks. Wait! Don’t Get Rid of those Leaves! What’s the one thing that gardeners routinely get rid of in the fall garden? What’s does nature use to replenish soil? It’s all part of the decaying life matter that provides rich, natural, organic mulch and an essential part of nature’s life cycle. Leaf mulch improves soil structure and fertility, conserves moisture, inhibits weeds, provides a habitat for worms and zillions of other wee things that benefit the garden, and, on a cosmetic level, gives a finished look to garden beds. Instead of raking and bagging leaves, and sending them away (and perhaps buying back the equivalent product in the spring), consider using them in your garden. Along with the nutritional power of compost, this is a simple way to improve your garden health. That’s why they’re garden gold! 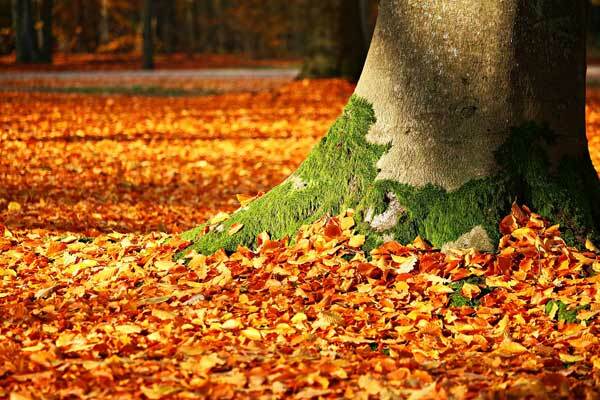 We know deep, damp leaf piles can smother the growth underneath. But finely-mulched or chopped leaves distributed over garden beds are highly beneficial. Other organic mulches include wood chips, straw and hay, and grass clippings. Use what you have! I purchased a ‘mulching’ lawn mower similar to this one on Amazon.com for this purpose. It not only cuts the grass, but grinds up the grass clippings and leaves, helping to speed up the disintegration process (the same way finely-chopped compost breaks down faster). Another option is to use a weed whacker (also known as a ‘string trimmer’ ). Pile the leaves in a large bin or tub and chop them down with the whacker. It’s amazing how the leaf volume reduces with this method. Or, stash the leaves in a pile and, in a year or two, you will have leaf mold. It sounds gross but it’s really just the decomposed leaves, ready to feed and protect your garden. The only exception is diseased leaves. Anything with a fungus, blight, or other atrocities should be bagged and sent away. But healthy leaves? Keep ’em and use ’em! 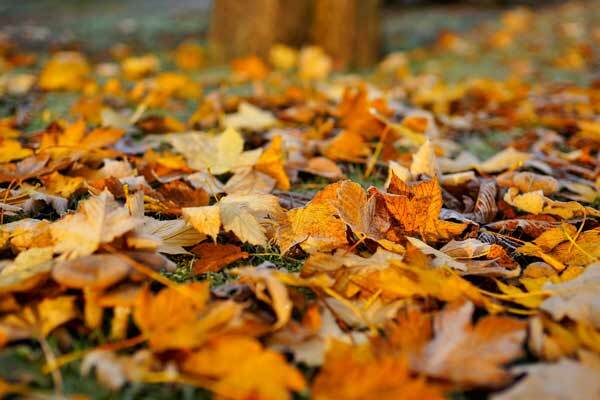 If you have more leaves than you use in one season, consider starting a leaf mold pile. 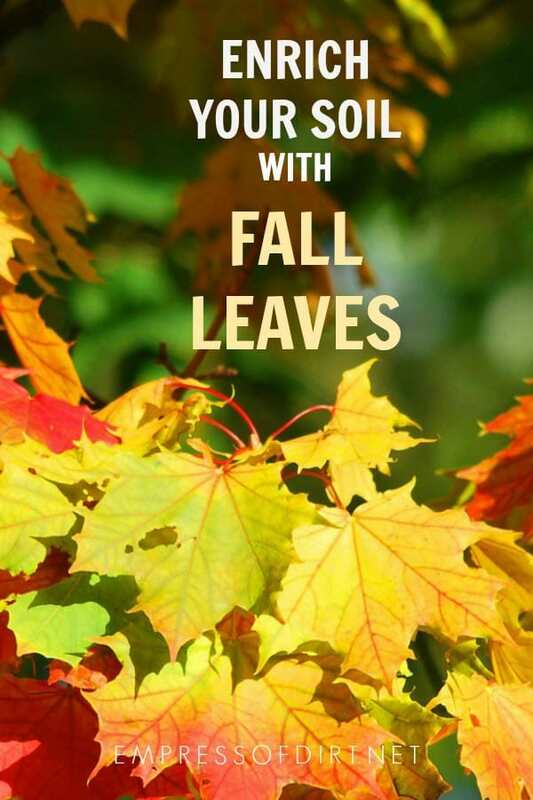 It sounds gross (mold) but it really just involves keeping the leaves damp and piled high until they’ve rotted down. It generally takes about a year, but this carbon-rich mulch is ideal for the garden. Same goes for weeds (that haven’t gone to seed), and of course, fruit and vegetable scraps, egg shells, coffee grounds—all the usual compostable items, plus grass clippings from your lawn, branch trimmings from trees and shrubs, and any other organic waste that we’ve grown accustomed to sending away. I keep bags of leaves on hand to add to keep the right ratios of greens and browns in my compost piles. It’s all plant food, ready to enrich your soil, without the middle man or unnecessary use of fossil fuels to send them away, repackage them, and sell them back to us. I mean, why send leaves away in fall only to buy back compost and mulch in the spring? Once you catch on to how nicely this works, you’ll be asking your neighbours for theirs too. 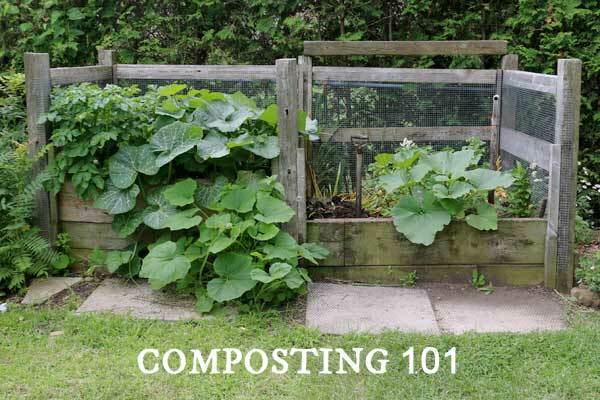 Composting 101 | Slow & Fast Methods | All the basics to composting. You can choose how much effort you put into it. Fast or slow, eventually everyone ends up with good compost for the garden. Easy Composting Without Pests (Sorry, Rats!) | Want to save scraps for compost but vermin are a concern? This composter is the answer. Easy Winter Composting in a Cold Climate | I find it easier to keep compost in the cold seasons because there’s not much to do other than keep kitchen scraps frozen. I once lived in a house where the garden contained a grove of very old oak trees. When the leaves fell they were 2 ft deep! Also in this garden was a steeply sloping area forming a depression about 12ft x 4 ft. The leaves had been dumped in this area for decades leaving a lovely, crumbly richleaf mould that several neighbors came to collect for their own less productive gardens. It smelled lovely, earthy, crumbly and clean – a gift for the flowe beds. Ive mulched my vegetable garden in the fall/winter with leaves. Do I rake them away before adding new soil for the spring or add the new soil on top of the decomposed leaves? Hi Angela, It depends how deep the leaves are and how fast they are breaking down. You don’t want them to form a blanket that blocks the soil, which they sometimes do when they are wet. If I have too many for good circulation, I take them off, otherwise they stay. I agree with you 100%. I use my leaves both in my compost and as mulch. I JUST wrote about this issue in my garden journal last night. Why would anyone bag up and throw away the perfect free plant fertilizer only to go out and pay $$$ for a fertilizer that isn’t as good and is often made by a chemical company? It makes no sense to me, BUT I am the lucky recipient of the bagged leaves in my neighborhood, so why should I complain? My plants are very happy. Do you really recommend walnut leaves for composting? Yes. Do you? 🙂 My understanding is the allepathic aspects are quickly neutralized by soil, so, yes, I do. How do you know if the leaves have a disease? If you mulching with the mower how can you prevent mulching them? You may not know! It’s more than I can cover here but I’d suggest you ask locally if you’re concerned. I find out from the local horticultural community. My mother composted long before it became fashionable. So, I guess I have doing this since I was little. I am now 4 years old and still have a composter in my yard. It is as you say, gold! It is also good to have a go to site that is in Ontario! I love your site. Keep up the great work. Cheers! Are you saying that even walnut leaves are okay for a compost pile? Thank you so much Melissa, I didn’t know that.